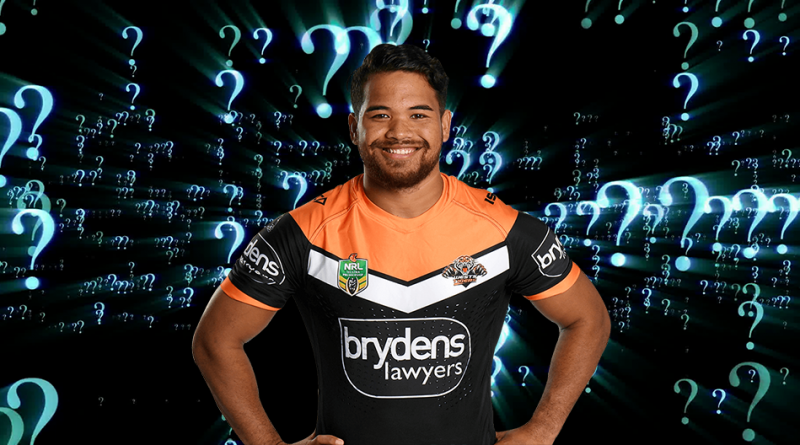 Esan Marsters (CTW, $568,500) proved to be one of the few players in 2018 lucky enough to avoid the dreaded Ivan Cleary rotation policy with the centre playing every game for Wests Tigers. The result was not only a positive for the young back, but for all the SuperCoaches that held throughout the year with his average increasing from 53 to 61 PPG. ‘Jarrod Croker and cheapies’. Remember when this was a completely viable round 1 strategy for a CTW position that is perennially rife with uncertainty? Consider this: not a single player from the top 10 averaging CTWs in 2017 (who played more than a handful of games) made a return appearance in 2018, whether due to a change of SuperCoach positional eligibility or a drop off in performance. Of the 2018 top 10, only half look set to both remain at the same club and retain the same position. With no such thing as a ‘sure thing’ at CTW, it is often best practice to select 1-2 stable players and fill the remaining spots with cheapies who can be upgraded to whatever cream rises to the top as the season progresses. Well, heroes often appear in our darkest hour and Marsters became the hero we needed in 2018. The Cook Islands and New Zealand international made his debut for the Tigers in 2017, playing 43 minutes from the interchange against the Dragons for 55 points. He would play one more game from the interchange before becoming an 80-minute player, from which time the damaging centre would barge over for five tries in his remaining 11 games for a season average of 53 PPG. This increased to 56 PPG when only considering his 80-minute performances. “It’s too late in the season for a cheapie” everyone said which led many to stay away, though hindsight would tell us that those who didn’t hop on missed a basement priced keeper for the home stretch. In 2018, Marsters picked up the full-time kicking duties but still SuperCoaches were sceptical of the Tiger who was far from a household name, in a team undergoing a clear cultural change under the first full season with Ivan Cleary at the helm. Even when the byes approached and his status as a must was firming, the arrival of Moses Mbye led many to question whether Marsters would lose his kicking duties and slide into irrelevancy. That scenario never eventuated. And he would end the season as what many would consider the most reliable CTW with 50% of his games above 60 points and only four below 40, a season low of 30 in round 25. Marsters topped the CTW position in offloads (49) and was 5th in tackle busts (65), and that he only scored three tries in 24 appearances makes his 61PPG average (4th highest among CTWs) even more impressive. With no chance of Origin representation, enormous base stats for his position (33 BPPG in 2018) and the almost inevitability that he will score more tries in 2019, suddenly ‘Marsters and cheapies’ looks like the safe-as-houses CTW strategy for the foreseeable future. Despite this, as of the last update he was only the 41st most popular SuperCoach player with 12.2% ownership, making him a massive POD entering the season in which he should only improve upon his 61 PPG average. He doesn’t play the first bye, but by that stage he could have already given owners the points they need to break away from the pack. Will you start with him? Great read, have me thinking of including him now!!! Very solid player now . He has all the skills and size and will come into consideration for the starting team Only point of concern for me is will he see as much ball this year as last year he was the rock and the other ctw spot was a shambles all season due to form loss / injuries . Still he is more likely to finish top 5 CTW again than most other candidates. Well presented article once again! Great write-up mate. Depending on what happens with a couple of duals, he could very be my starting gun for round 1. I would love to start with him, but I just can’t justify paying nearly 600k for a centre, all things considered. Going off what we’ve seen in prior years and what @46057 has rightfully pointed out, you make a great point. CTW is the one position that changes each and every year. 440k for Gutho who has a similar upside [ad nauseam], and an extra 130k to spend elsewhere. It’s a no brainer for me. Will he be kicking goals this year? I can’t say – @48566 would have a better idea than I would. Whether he kicks or not is a deal breaker for me. I’m hoping he averages around 60 without the duties; the Eels will be relying on him a lot this season, and he’s naturally someone who likes to get involved. I went pretty deep when looking at CTW stats and from memory going back like 5 years, the highest repetition of top 10 players from one season to the next was 40%. It’s the wild west out there. He was my first draft of my team however I’ve now replaced him with Fonua, similar base and attacking upside but obviously without the goal kicking.